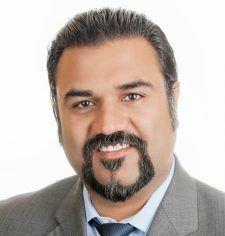 So Marijuana Business Daily enlisted cannabis attorney Khurshid Khoja to help break it down. One of the major features worth noting is there’s no more mandated third-party distribution. That was a big bone of contention in the industry in California, that (MMJ measure) had mandated third-party distribution and (the adult-use law) did not. So if the locals say, “You’re out of compliance” or “We don’t want you here,” that’s going to preclude you from getting a license under the (adult-use measure). But you don’t have to show up with a local license in hand in order to be eligible. Basically, the MAUCRSA adopted the (adult-use law’s) approach, in which the locals still have the ability to pass ordinances on land use and business licensing, and they can force businesses to comply. If any business that holds a state license doesn’t comply (with local law), they risk having that license withdrawn. What will be the difference between medical and recreational? Tax? What advantages are there for medical? Still need a medical card?